Please join us for a reception to honor the women on the Colorado Department of Transportation (CDOT) Transportation Commission. Please join us for a reception to honor the women on the Colorado Department of Transportation (CDOT) Transportation Commission. The Transportation Commission is comprised of 11 commissioners who represent specific districts. Each commissioner is appointed by the governor, confirmed by the senate and serves a four-year term. These women formulate general policy, advise the governor and General Assembly as well as promulgate and adopt CDOT's budgets and programs. 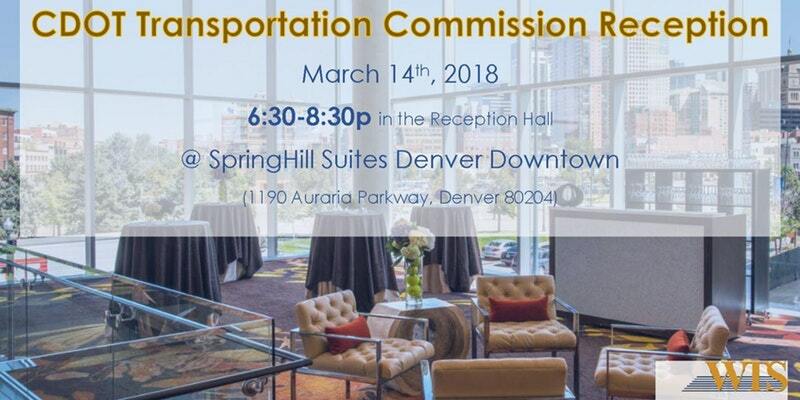 Spend an evening with your commissioners, transportation friends and WTS Colorado Chapter! Click here for more information and to purchase tickets.